NAPOLEON RESIN AMBER CHAIR - FREE CUSHION - Guaranteed Lowest Price - 5 Yr Warranty - Super Comfort Seat - Call for Special Volume Discounts. 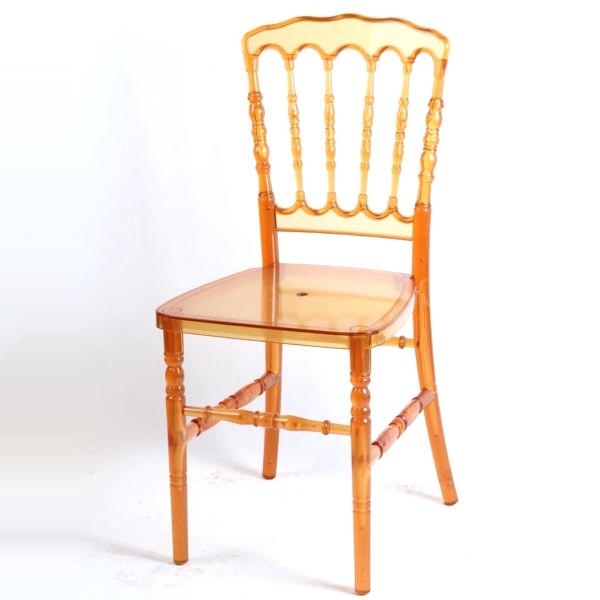 Resin AMBER Napoleon Chairs are UV protected, making them an ideal seating option for indoor or outdoor use. Made of durable polypropylene and boasting a lightweight, 9 lb. frame that allows for easy stacking and storage, the Napoleon Chair provides an air of elegance and modern sophistication to your event venue or dining space.